FAQ | Southern Water Management, Inc. YES! 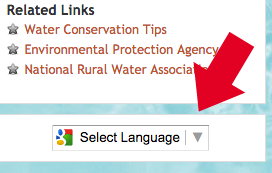 At the bottom right corner of the website is a Google Translate button which will allow you to translate the site into another language. Check your meter and the surrounding area for possible leaks. Next, call our management office and report low pressure for your home.